Shooting on a Workshop? Speak up, please! 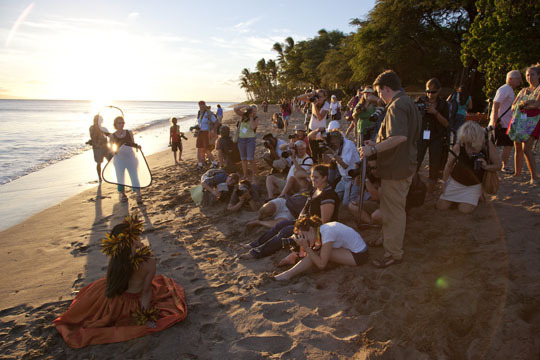 Juan Pons and I were recently acting as assistants on the sunset hula shoot at the Maui Photo Festival. Great fun! Great dancers! Great light. I asked again. Silence again. Although I sometimes find it frustrating that no one answers (because I know the photographers can see the big difference), I am also understanding of the situation – because I know it’s not uncommon for people in crowds to remain quite when someone asks a question. Folks in crowds expect others to speak up for them. That point is mentioned in the book, The Tipping Point – which I recommend. Also, some people are shy about asking a “stupid” question. On a workshop my friends, there is no such thing as a stupid question. Everyone is there to learn! And that includes the instructors. Anway, you’ll get the most out of a workshop if you speak up, ask questions, offer suggestions, share your pictures on site – and stick like glue to the instructors. Keep in mind that the workshop leaders are good photographers and instructors – but they are usually not good mind readers. P.S. 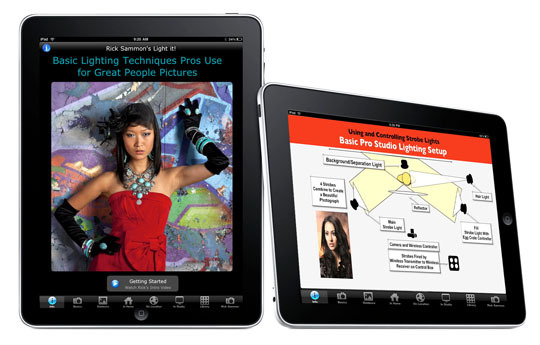 If you are interested in learning about lighting, my newest app, Light It!, is all about making professional quality people pictures using a flash and affordable lighting accessories – including reflectors and diffusers. For info, click here. To view the intro movie (and a quick lighting lessons), click here.